Thanksgiving is an important holiday and it gives us a chance to notice how very blessed we are. It is also a time when we get excited about making Thanksgiving crafts. 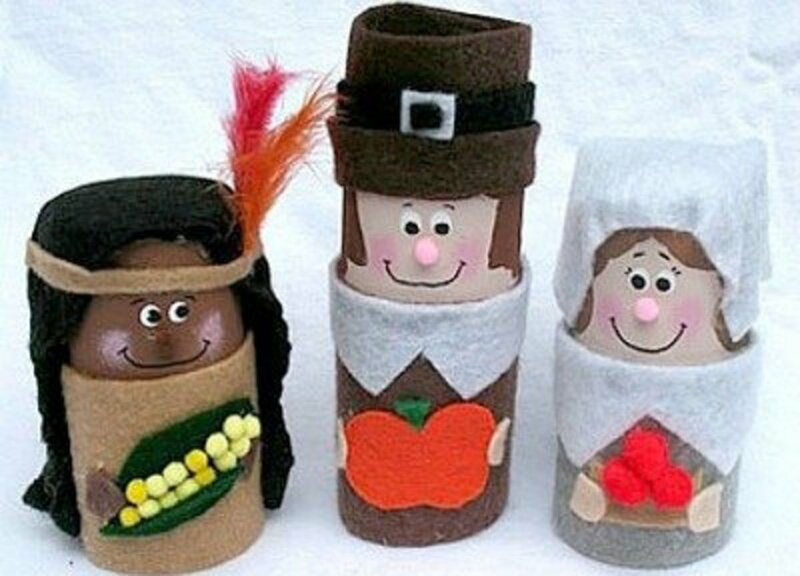 In this article I'm going to share with you a number of Thanksgiving craft ideas in the form of outstanding pilgrim crafts. I know that it can take a considerable amount of time to find pilgrim projects when searching the internet. This article is meant to make the search easier by including only pilgrim crafts which have instructions included. All the pilgrim crafts shown here, also gives the site name and address so you'll only have to click on the site name and you'll be taken directly to the project's instructions. 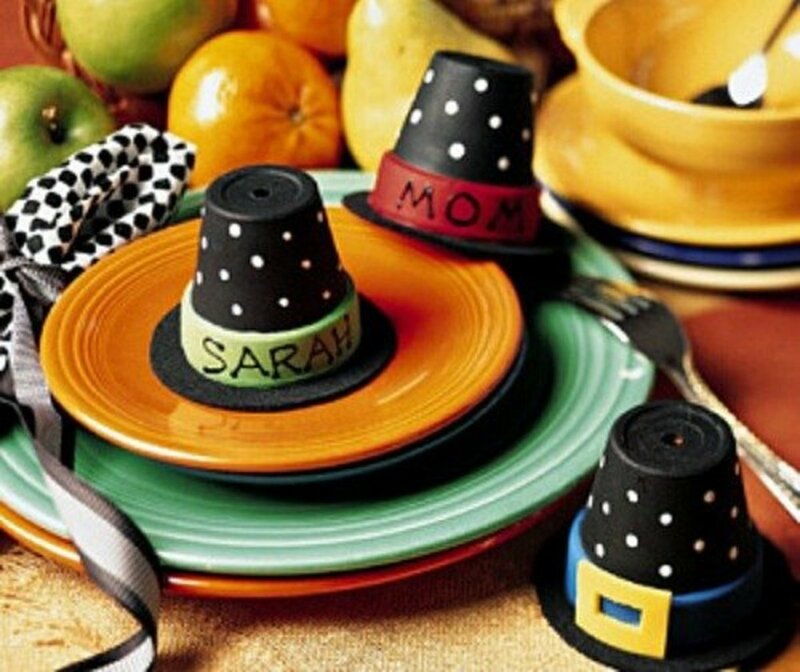 Get the instruction for the pilgrim hat place cards shown above at Better Homes & Gardens. 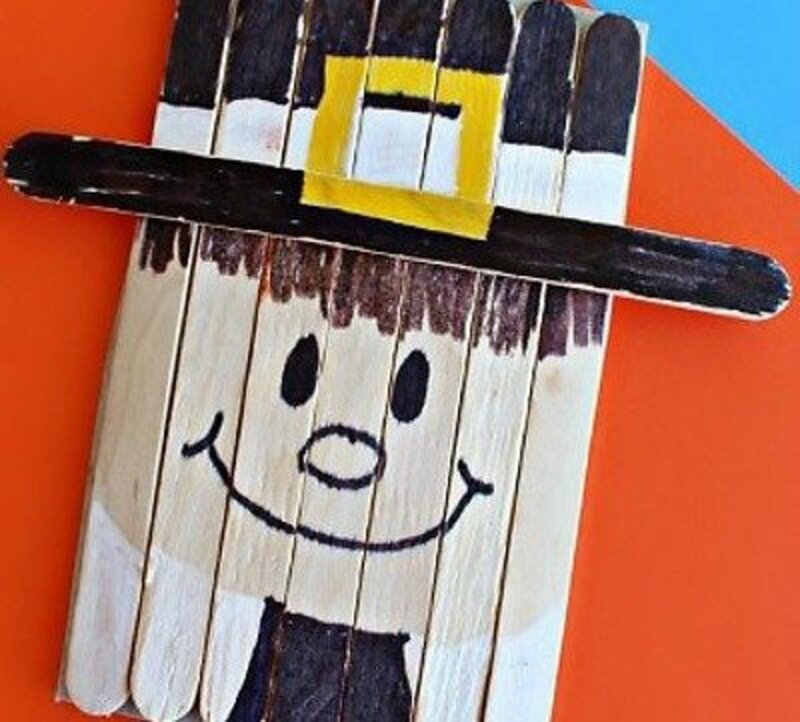 Even the little kids will have a great time making pilgrim folks using popsicle sticks. This simple to do pilgrim project has instructions at crafty morning. A very nice Thanksgiving craft for the little kids. 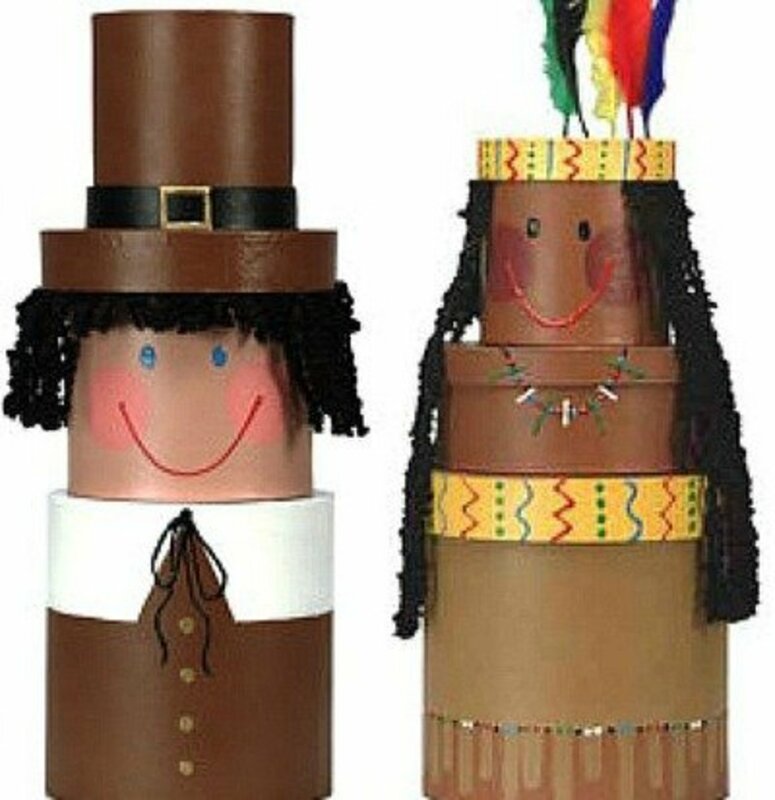 These peg doll Pilgrim and American Indian families made using doll pegs, will make a nice addition to a Thanksgiving centerpiece. For the tutorial for this project, go to the we bloom here site. 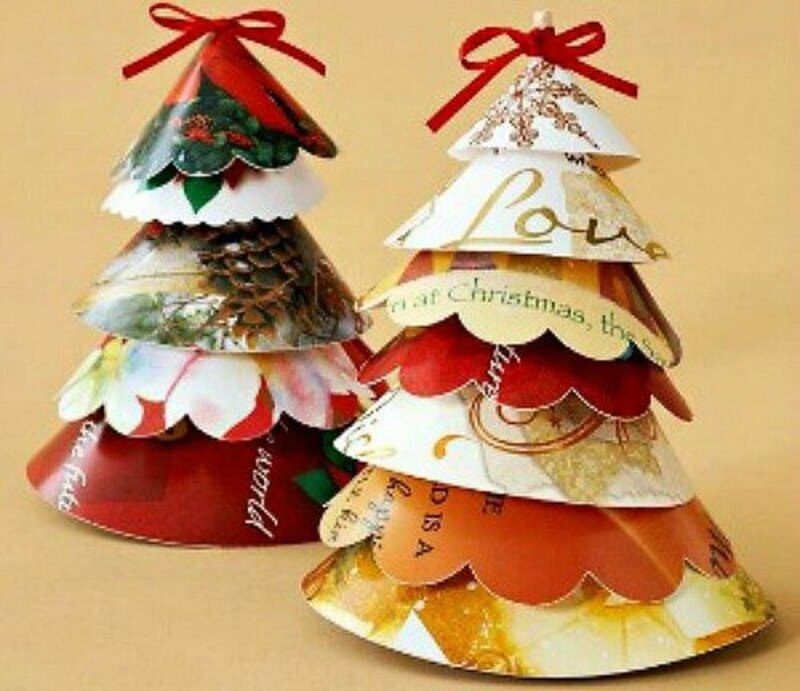 Pilgrims, using Pringle cans, are a nice sized pair for decorating larger areas. You can find the instructions for making this craft by going to the julep site. So simple, so easy. 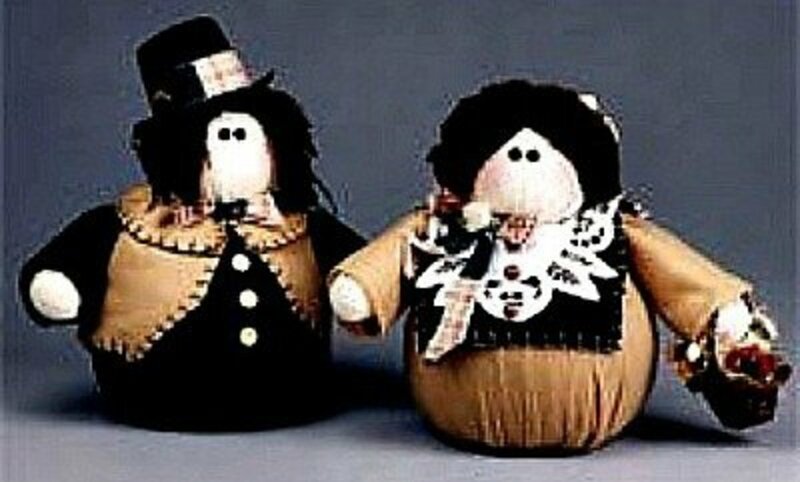 You'll find the instructions for making these turkeys made with stryofoam cups and plastic ornament balls at Mom On TIME OUT. A cute Thanksgiving craft! You'll find the instructions for making them at DAILY TEACHER TIPS. 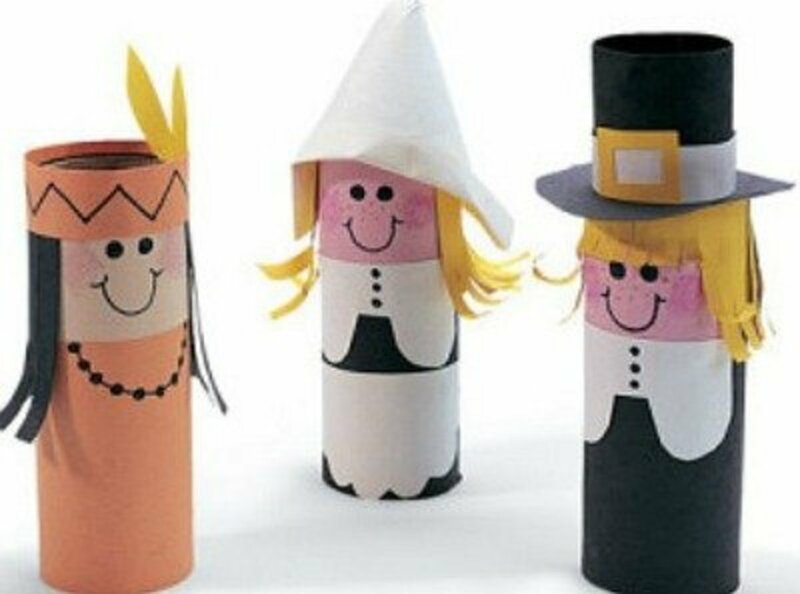 These little tp roll village people will become a part of your yearly Thanksgiving decorations. 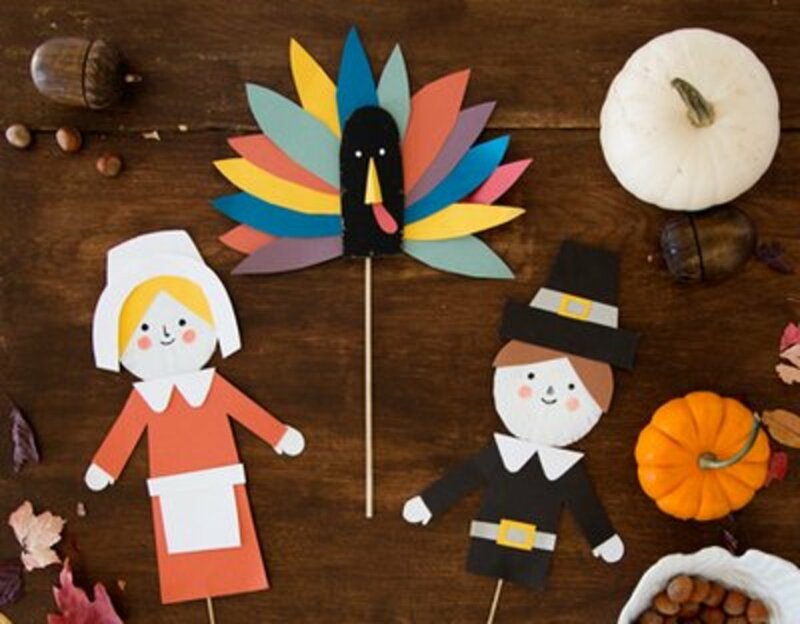 A nice addition to your Thanksgiving decorations can be found at CHILDMADE. 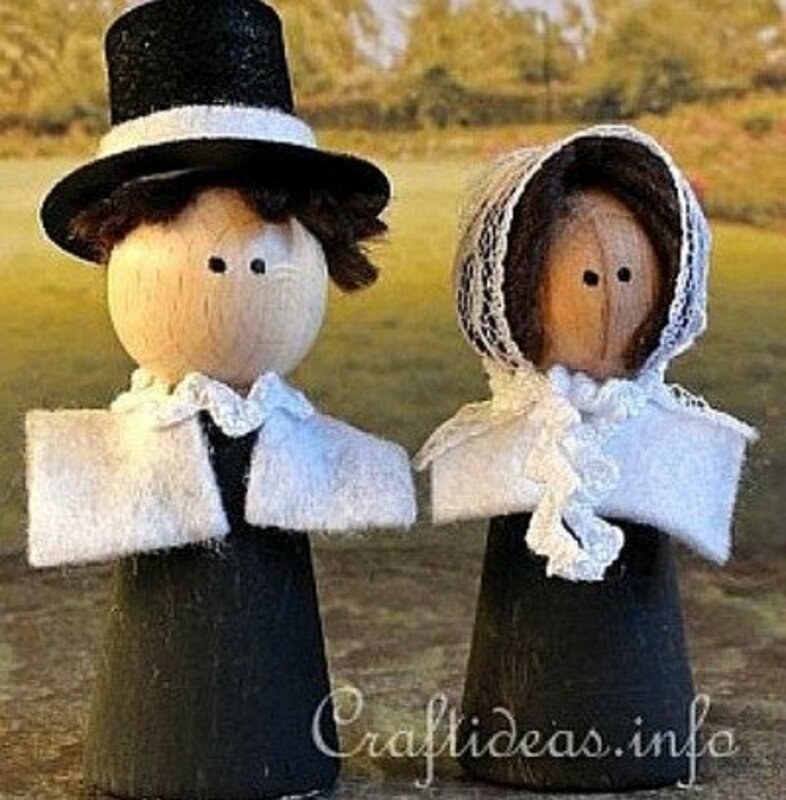 These are really a special little Pilgrim couple that would look great in an table or shelf arrangement. 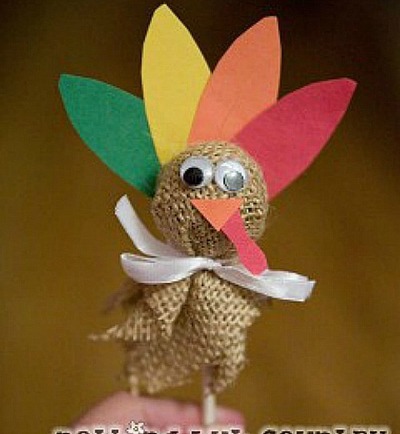 A nice, easy Thanksgiving craft for even the youngest crafter. Go to All Kids Network for the directions. Let the kids help you make lollipop turkeys and use for favors on your Thanksgiving table. See how easy they are to make by following the directions from nothing but country. 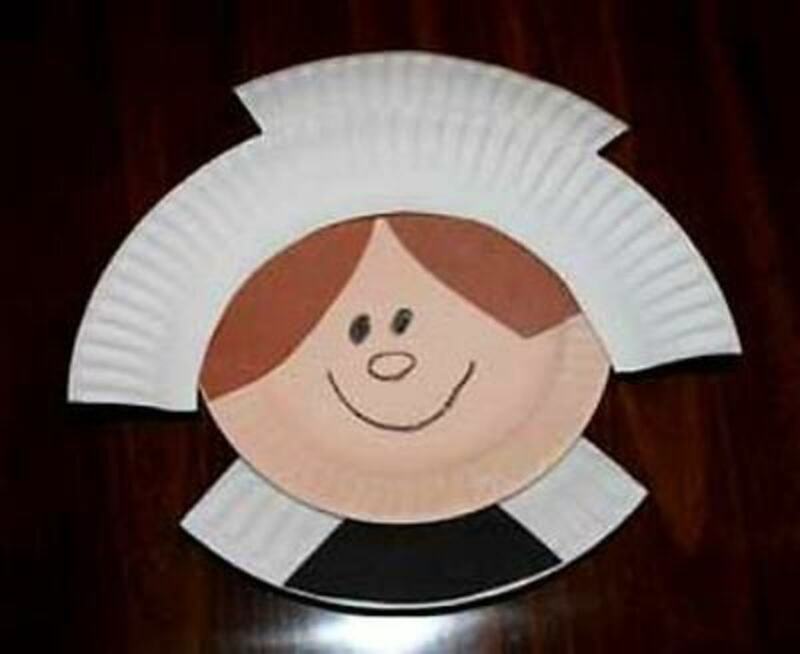 A nice and easy paper plate pilgrim girl for the kids to make also. This project can also be found at All Kids Network. 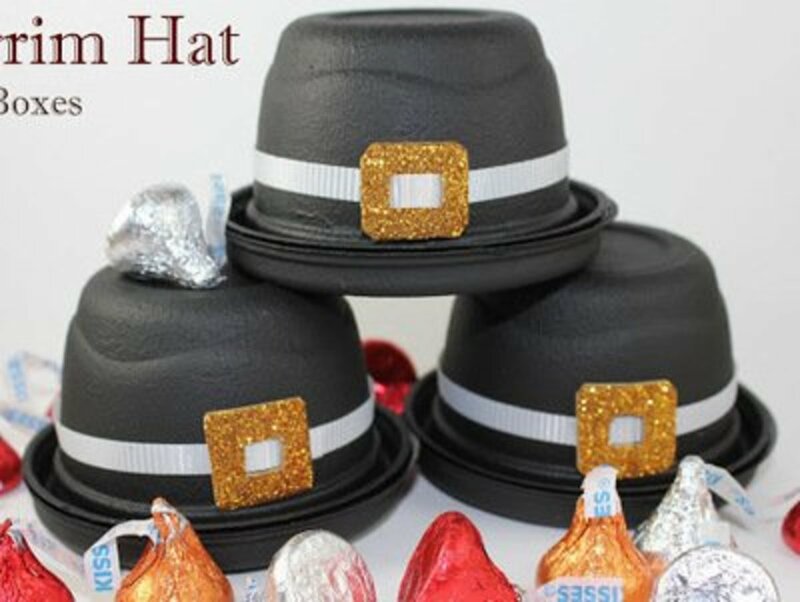 You'll find the instructions for these cute pilgrim hats on the Rosewood Corner site. 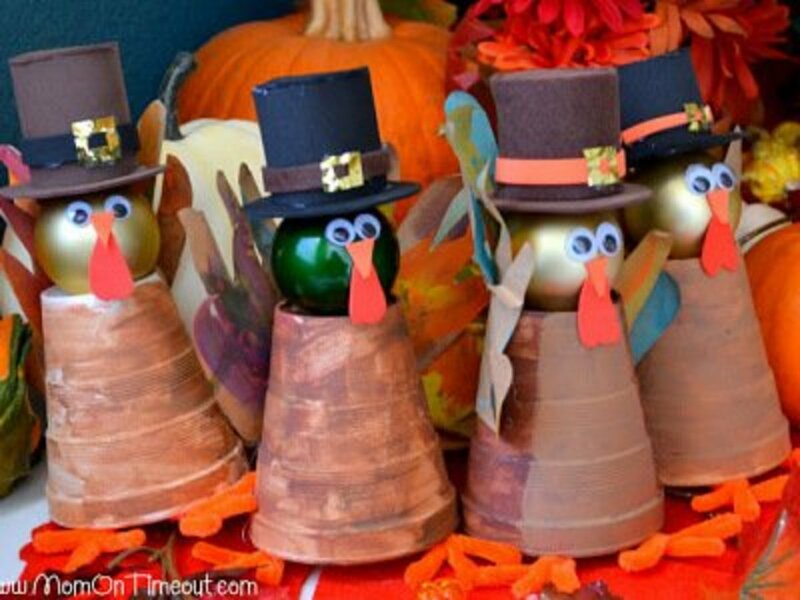 These are really cute and definitely say Thanksgiving Go to the favecrafts.com site for the directions. 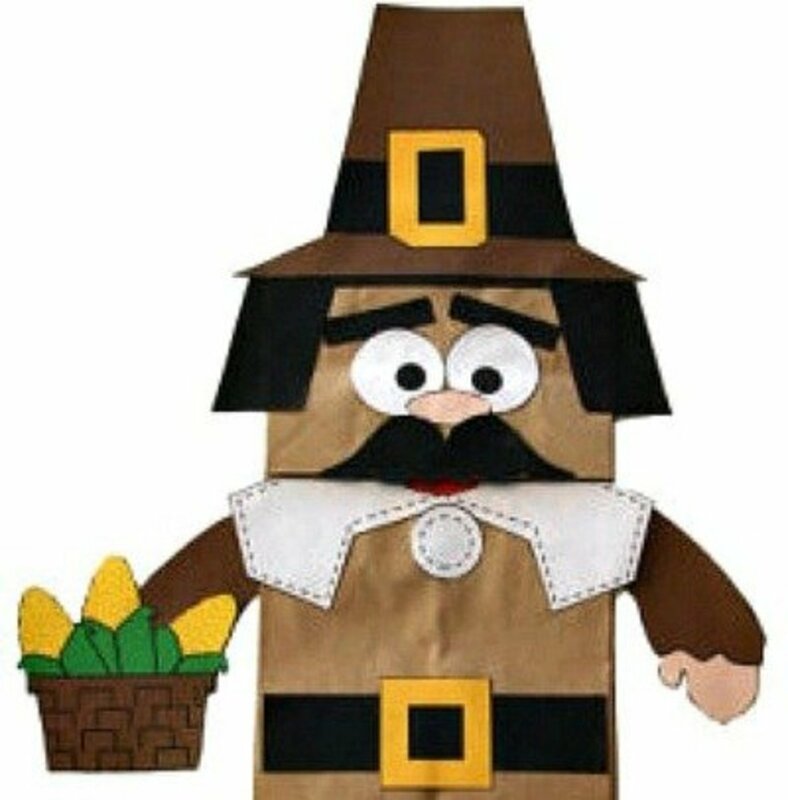 The gentle look of this Thanksgiving pilgrim will help put the "thanks" in your Thanksgiving decorations. Go to FAMILYCORNER.com for the instructions. A very, very easy Thanksgiving craft that anyone can do. Find the instructions at Yesterday on Tuesday. 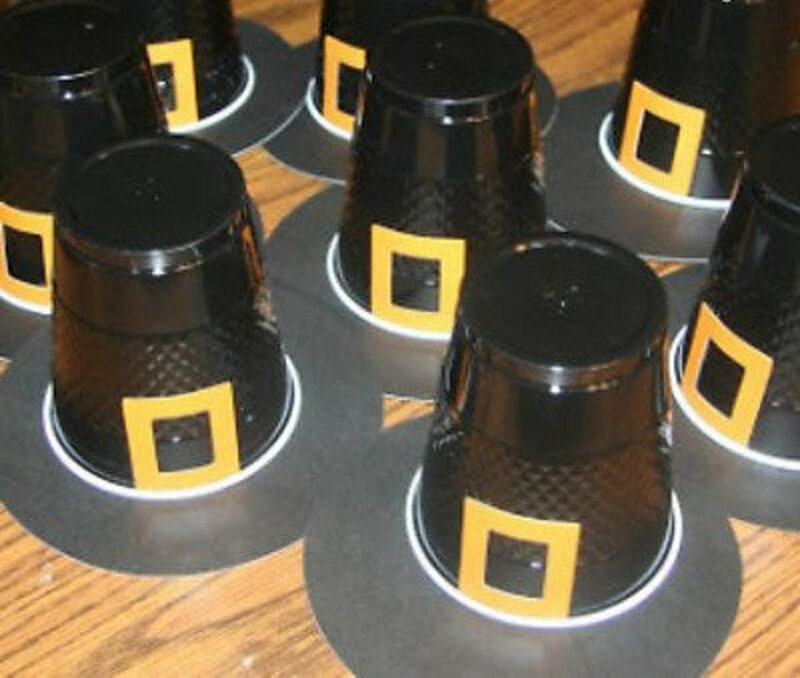 Use the little Dixie cups to make Pilgrim hat place cards. You'll find the instructions at Origami Owls. 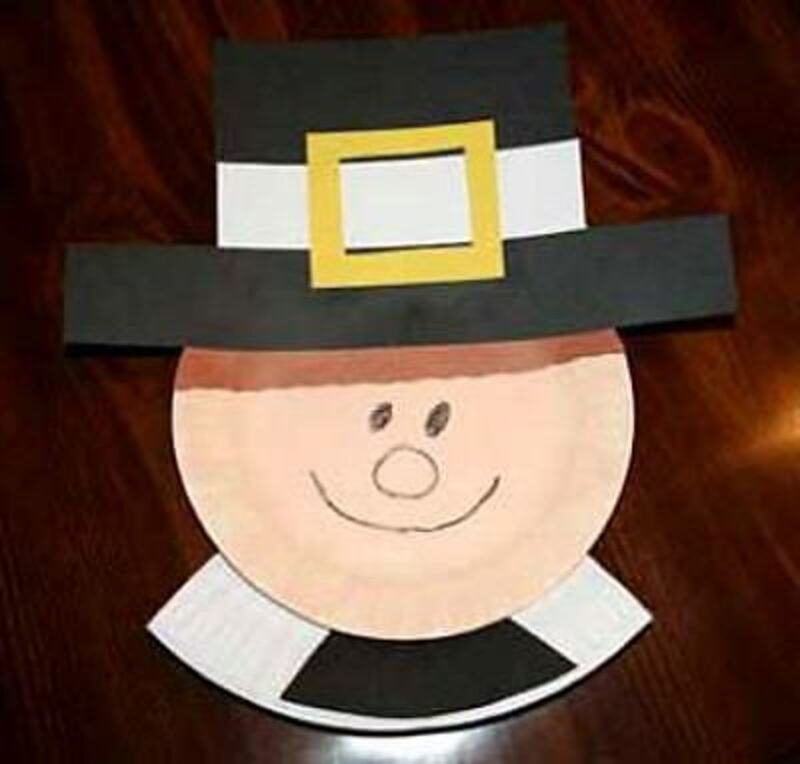 The kids will love making this Pilgrim boy. A great classroom project. Go to DLTK to see how to make it. 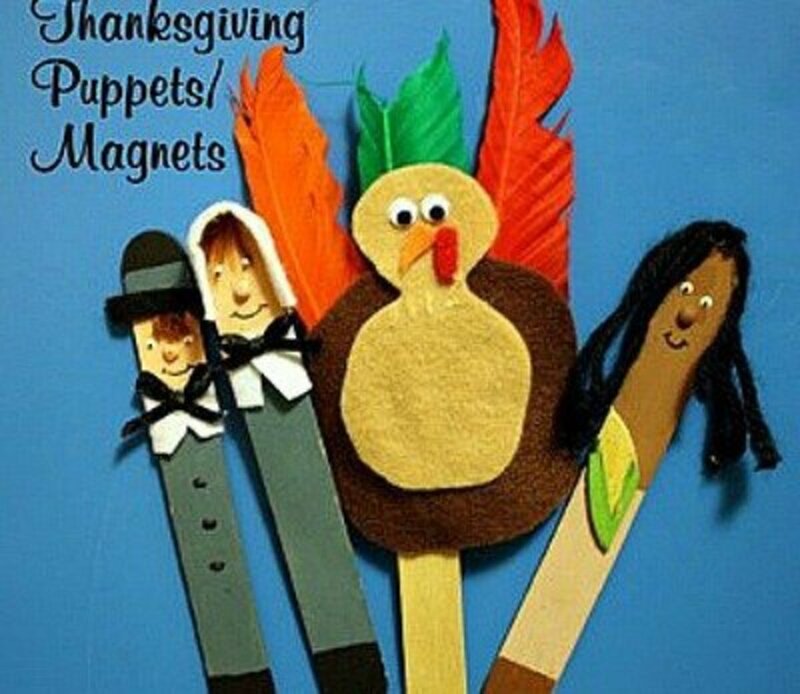 Imagine the fun making and using these Thanksgiving puppets. You'll find the directions for making them at Oh Happy Day. 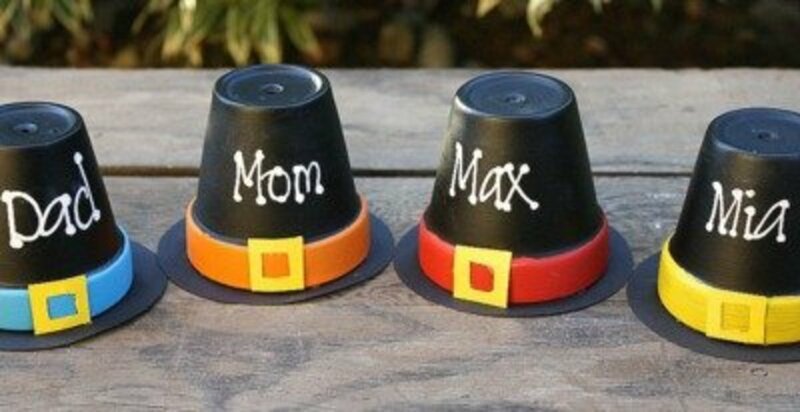 Make cute Thanksgiving treat holders or place card holders by going to Sheek Shindigs for the instructions. 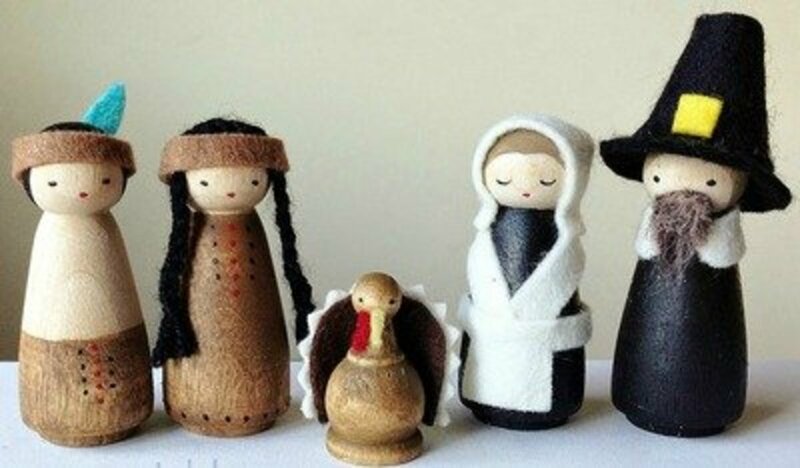 Make this beautiful Thanksgiving dolls by going to Lia Griffith for the instructions. These cute Pilgrim boy and girl costumes can be made by following the tutorial at Made Everyday. 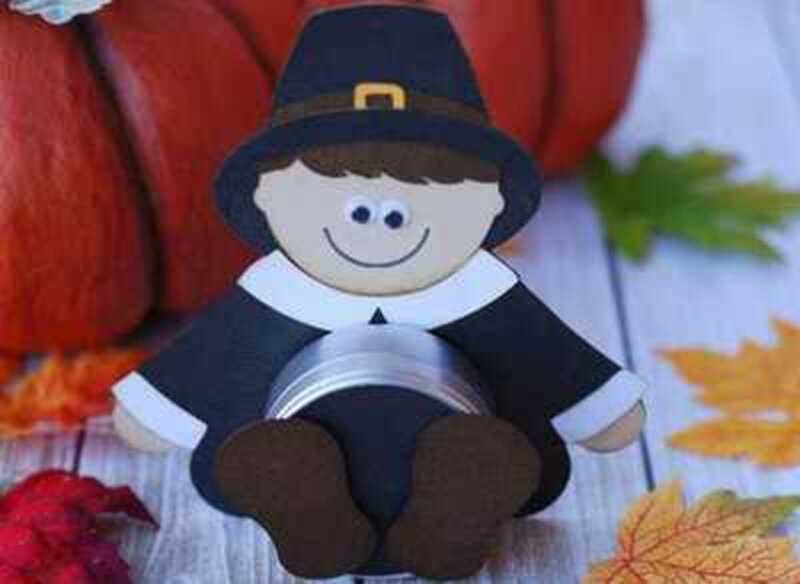 This is soooo cute and would make a great Thanksgiving decoration to use yourself or to give as a gift. Go to AllFreeCrafts.com for the instructions. You'll find out how easy it is to make this tp roll pilgrim hat at Crafty Morning. This will put the finishing touch on your beautiful Thanksgiving table. Get the directions and printable at Burton Avenue. 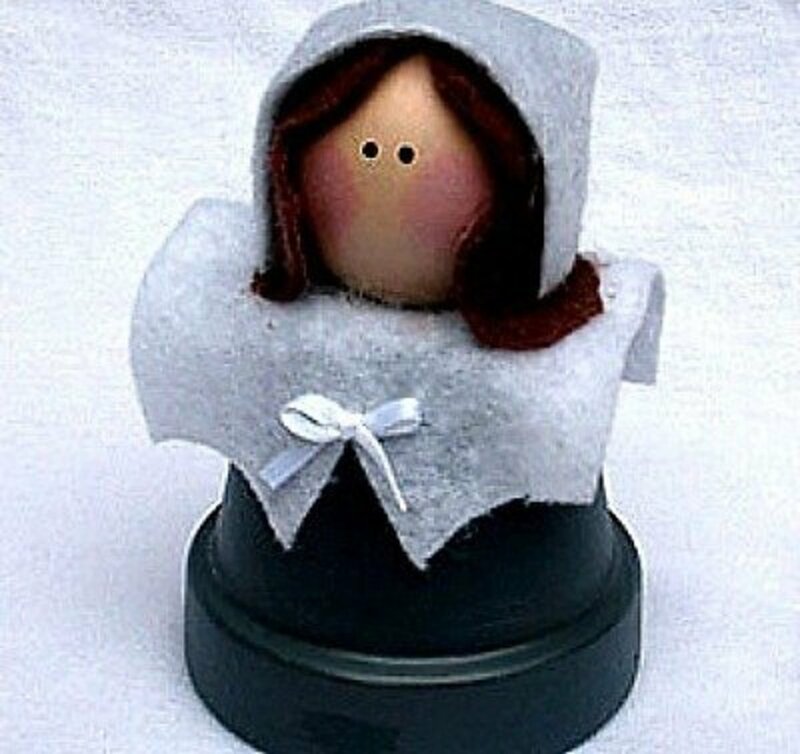 And here is the cute little Pilgrim girl candy tin holder. The directions are found at Burton Avenue. Start out with 6" round Styrofoam balls...and look what cute Pilgrims you can make. Find the instructions at AllFreeCrafts.com. A great project for teaching about colonial America. See how these characters were made by going to Creative Me Inspired You. You and your children will enjoy making these tongue depressor magnets or puppets. 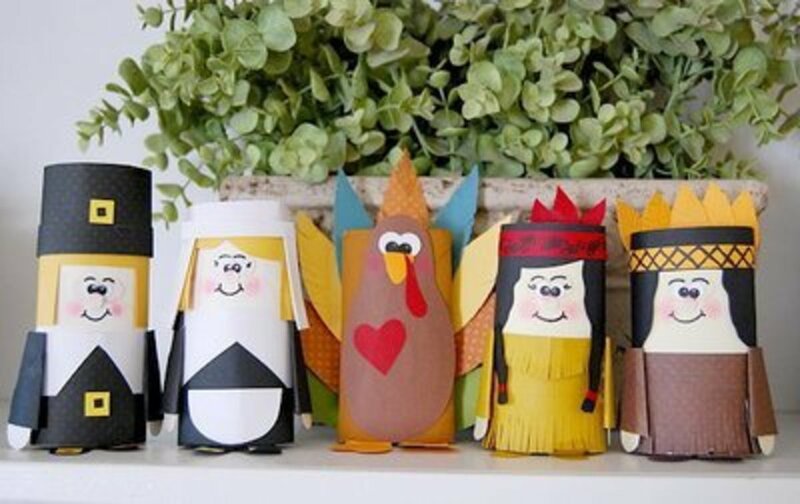 Find the instructions for making these cute Thanksgiving items by going to the OBSEUSSED site. 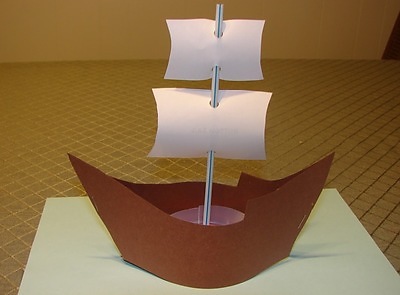 This Mayflower ship makes a perfect centerpiece. And you can add Thanksgiving Pilgrims and Indians to complete the look. 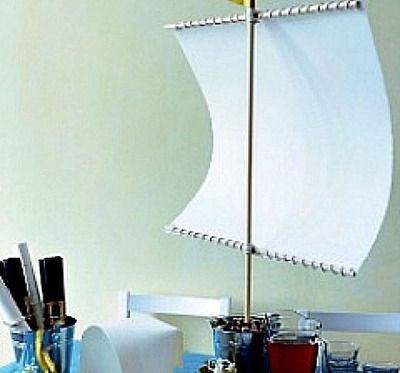 Find the instructions for the ship at Martha Stewart. This neat woodworking project has instructions and patterns on the she wears flowers website. 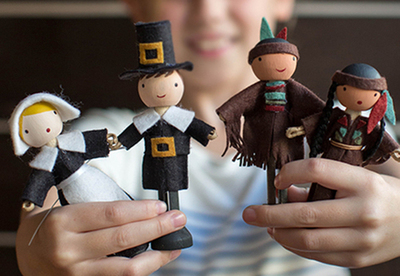 These little doll peg pilgrims are so easy to make and you'll have so much fun making them. 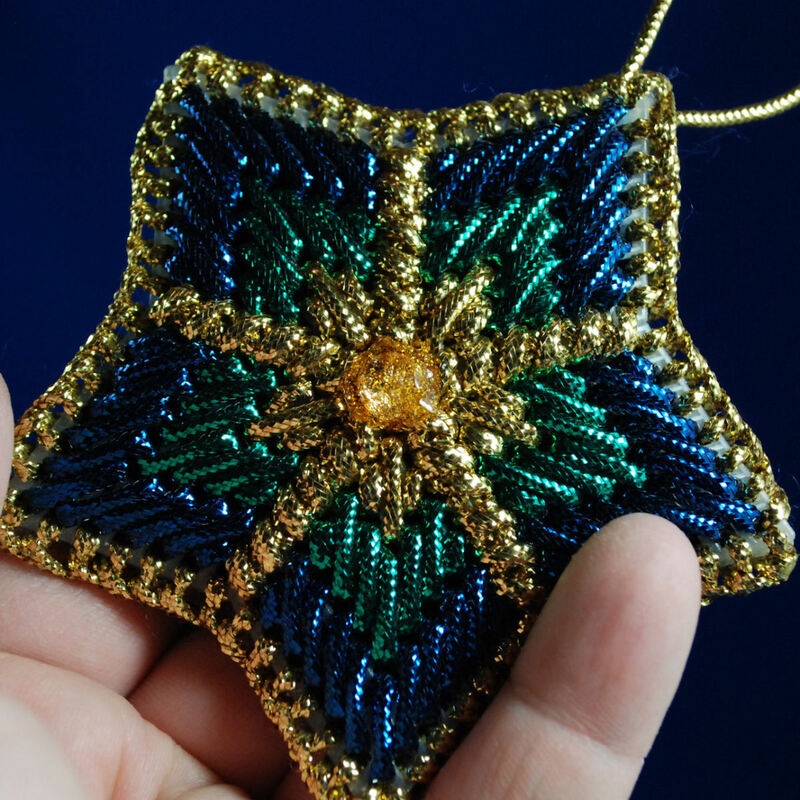 Go to Craftideas.info to see how to make them. 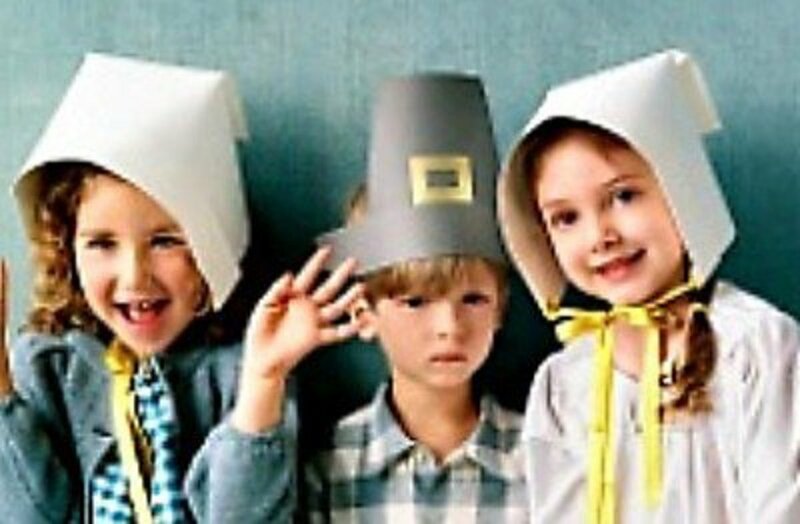 Complete the first Thanksgiving setting by having the kids wear Pilgrim hats. Find the directions for making them at Martha Stewart. 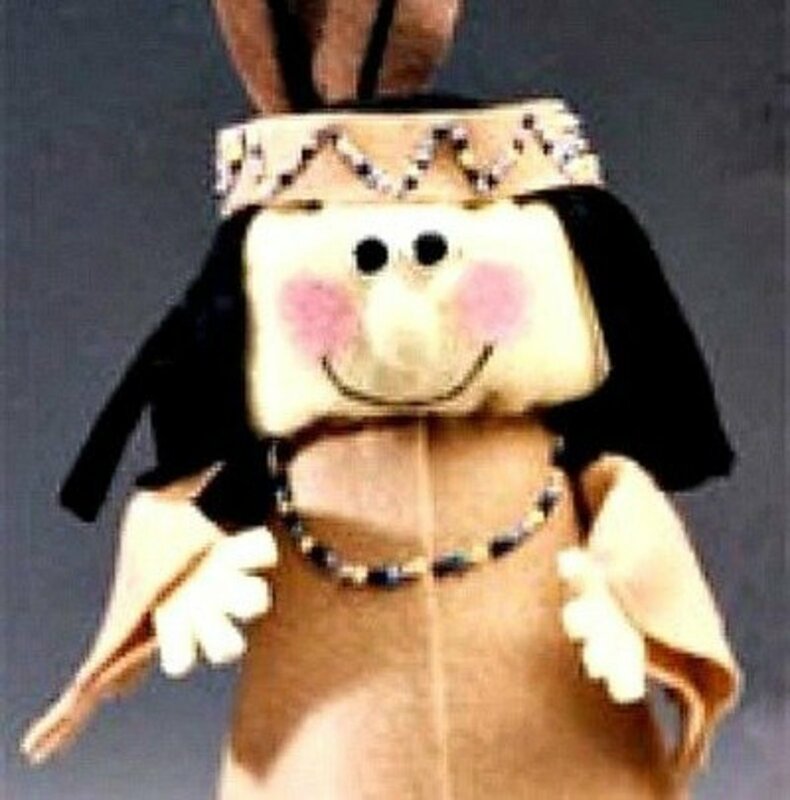 This Indian and the Pilgrims are made using paper tubes. You'll find the directions on the CRAFTS BY Amanda site. This is a great idea if your Thanksgiving celebrations include small children. 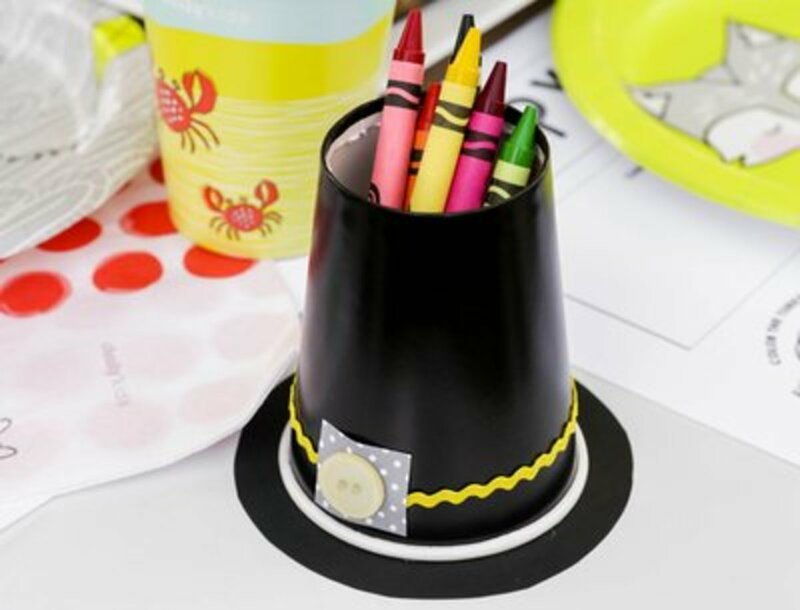 The tutorial for making the crayon cups is found at Lil Luna. Free printable placemats are also included with this project. @Michey LM: Hope you made that up - very cute! Happy Thanksgiving! "May your stuffing be tastyMay your turkey be plump,May your potatoes and gravyHave never a lump.May your yams be deliciousAnd your pies take the prize,And may your Thanksgiving dinnerStay off your thighs! " These are so cute. Wish I had seen this sooner. 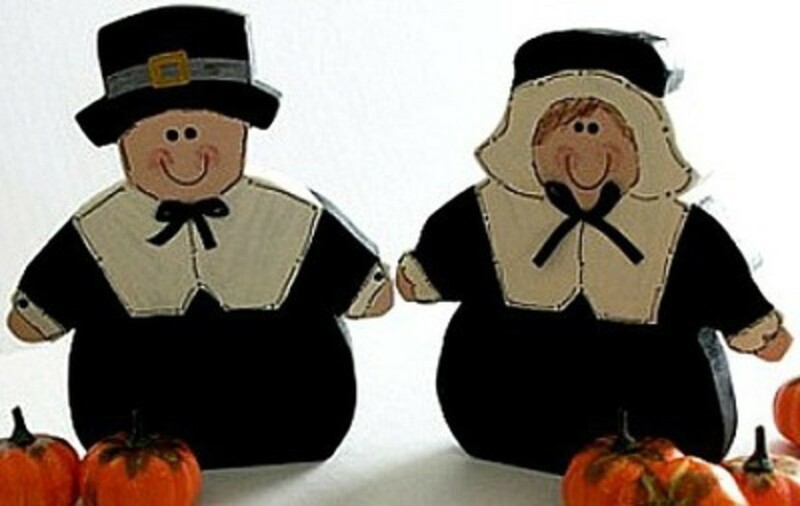 Thanksgiving blessings to you for this bounty of Pilgrim crafts. Great lens. I love the treat holders. I usually skip the decorations for Thanksgiving but all the these great ideas make me wanna start a new tradition. wow great ideas. Thank u for sharing! super talented you are buddy! Dozens and dozens of good ideas. Thank you for sharing. 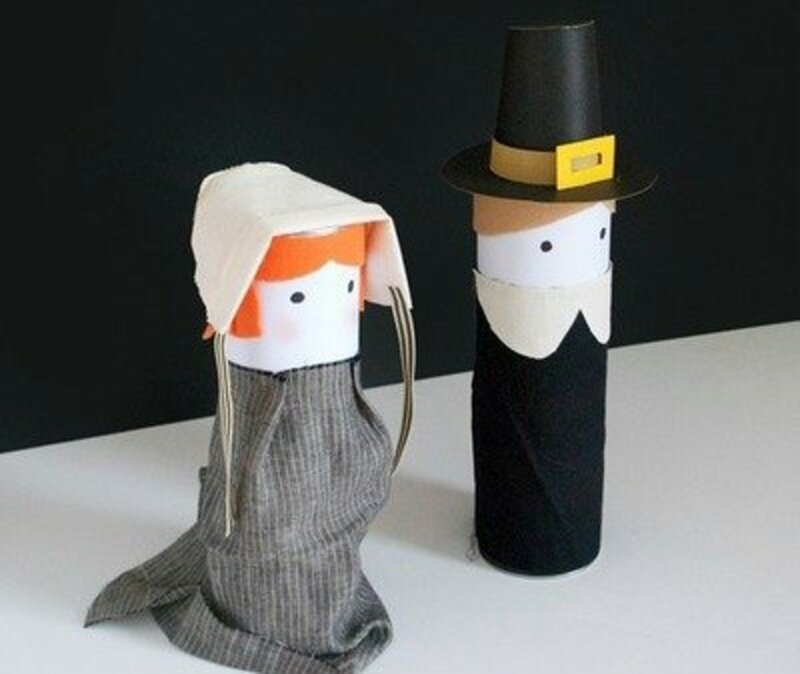 Those pilgrim crafts are so unique and cute! It's so interesting! Thanks for sharing those ideas! We do just a little decorating for Thanksgiving. 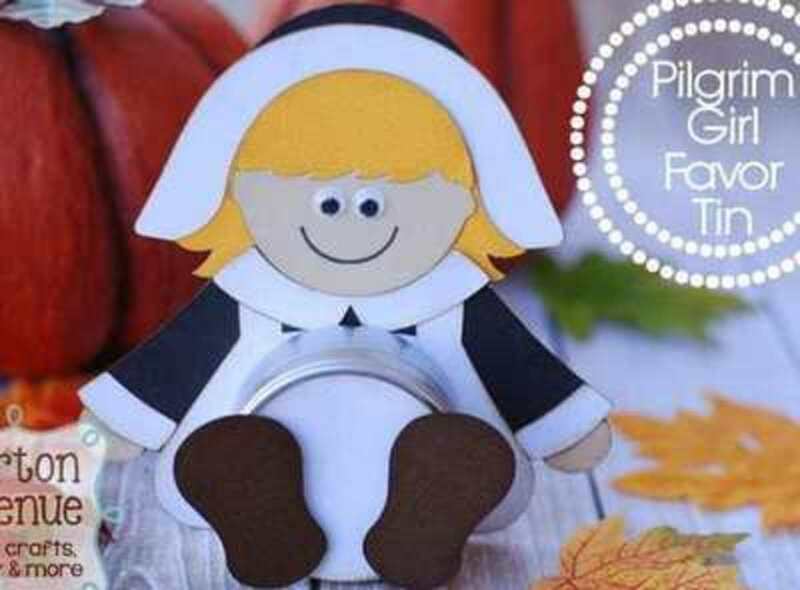 All of these little pilgrim crafts are adorable. Great ideas! 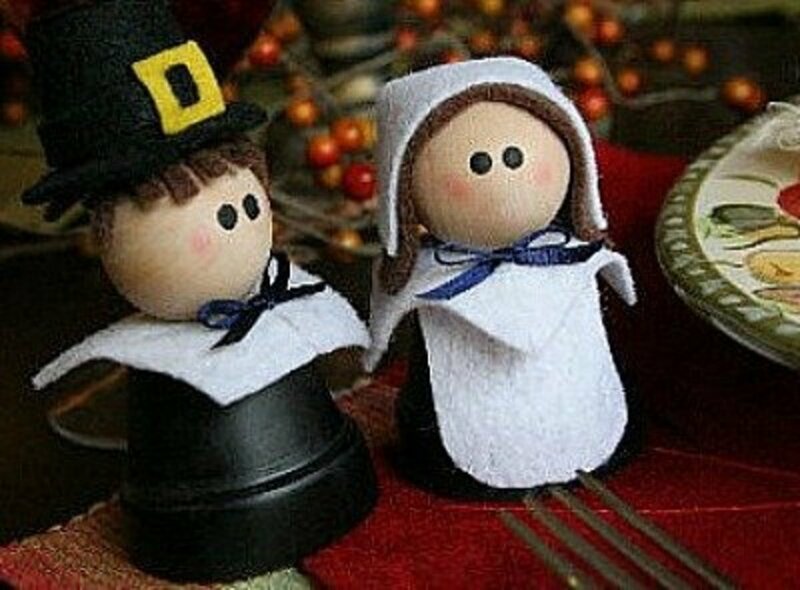 I love the little pilgrim hats! I love this creative lens and now feel inspired. I remember making the paper plate craft as a child. You have a great collection here. Nice lens and good information. What great craft ideas for Thanksgiving, blessed! You just put the sweetest smile on my face that started at the top and stayed all the way through as I delighted in you fun Pilgrim crafts. I was remembering some of them that are so similar to ones that even I did as a child and you have made them even better! 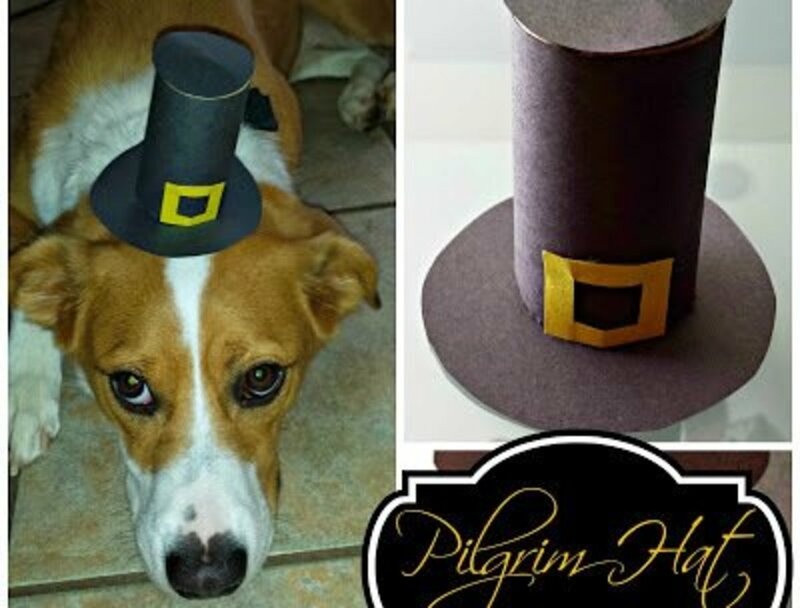 These pilgrim craft ideas are just too cute. Lots of great ideas. I was a room mother when my kids were little, and this is exactly the kind of stuff I looked for. Thanks for putting it all in one place! Blessed! Cute decorations! i love the Pilgrim Boy and Indian Printables. We don't do enough decorating but with company coming for Thanksgiving, we need to make more of an effort. Fortunately, your selection requires very little effort and these are very, very cute! Blessed. Adorable! Can't wait to do these with my nieces! I love the Thanksgiving printables!! Am going to use them with my kids this year! Very fun article. Love the different decorations. Great collection of pilgrim crafts! yes, but probably not this year. 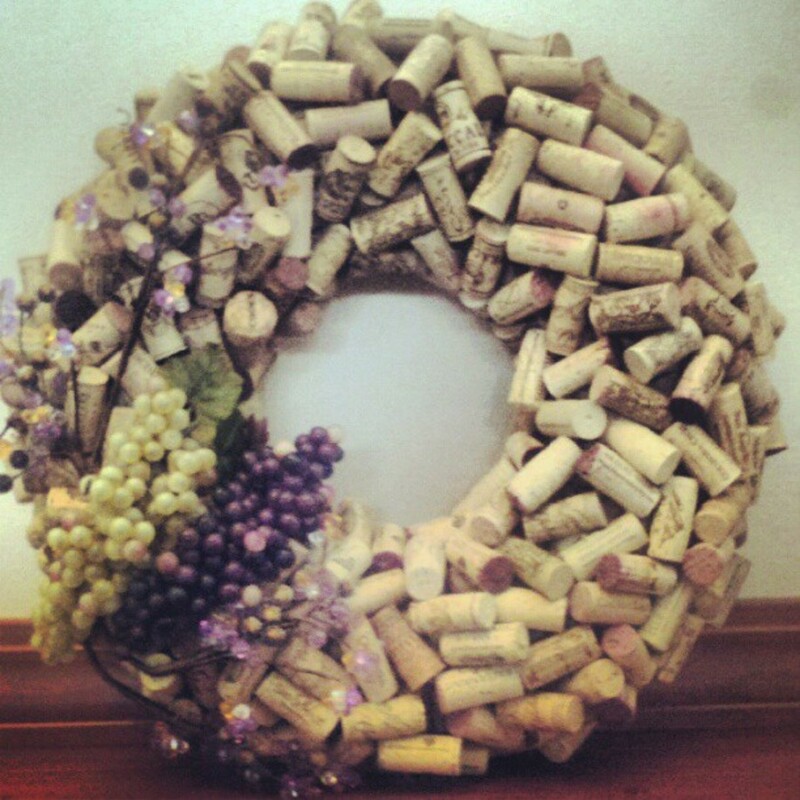 These are some really neat craft ideas. This is so much fun. what a great idea!! We do decorate for Thanksgiving. These are some of the cutest crafts. Fun lens. How cute! Love all the crafty stuff. It would be a lot of fun for the kids to do. Don't have any little ones, but I am sure it would be great fun. I will have to try making some of your crafts with the kids, love your lens. So many cute ideas. Perfect for that rainy fall day when the kids can't go out.